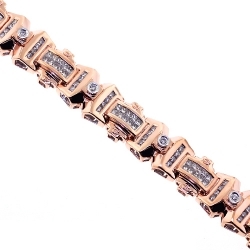 Mens Diamond Round Link Bracelet 14K Rose Gold 3.57 ct 20mm 8"
Artfully made of beautiful 14 karat rose gold, this men's diamond bracelet features unique round link design. 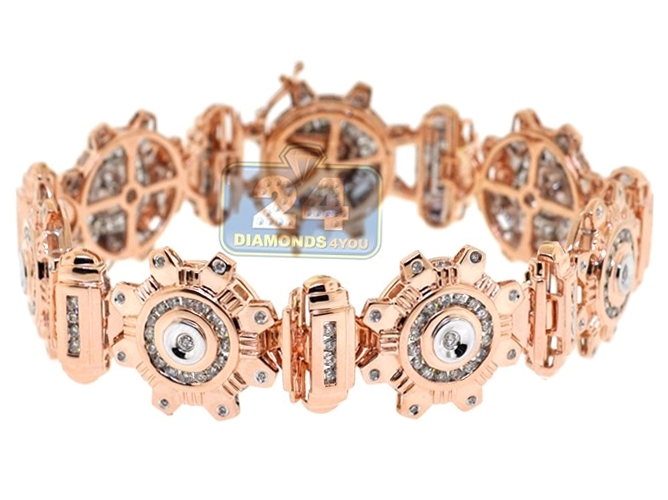 It's channel set with 3.57 carats of gleaming white round brilliant-cut real diamonds. 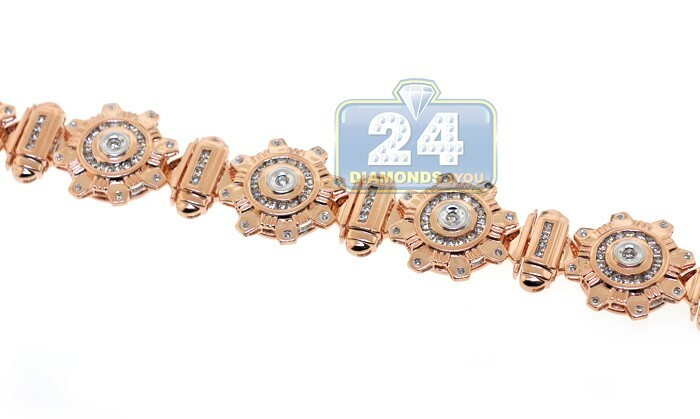 The piece also measures 8 inches in length, 20 mm in width, and secured by a safe box closure. 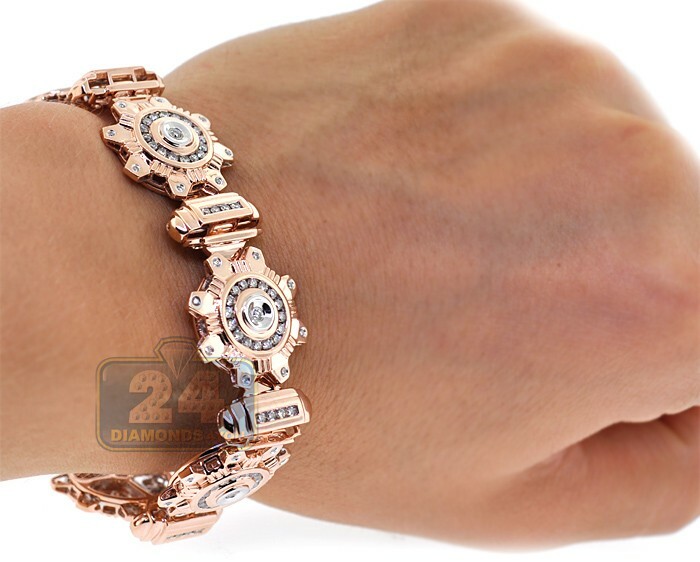 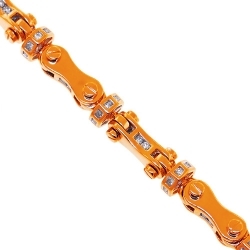 This diamond link bracelet is for the man who wants to make a statement without saying a word!